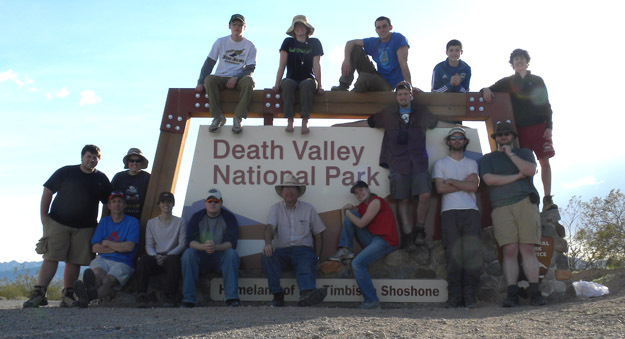 ZZYZX, CALIFORNIA–Today the Wooster Geology Mojave Desert field trip team visited the southern half of Death Valley National Park. We left Zzyzx (love that name) early in the morning and drove straight north to the Furnace Creek Visitor Center. After our orientation we headed south to the Natural Bridge trail. 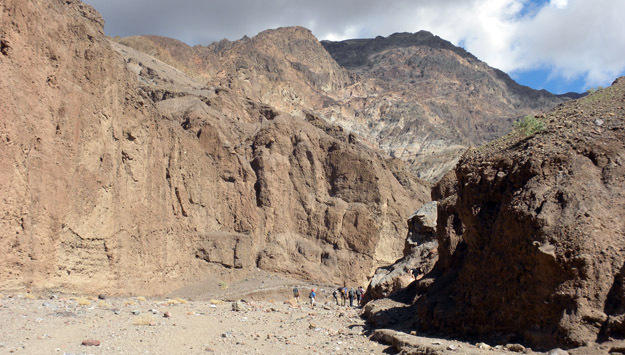 There we hiked up a narrow canyon to look at the faulting associated with a metamorphic core complex. As a bonus we studied a beautifully-dissected fanglomerate along the way. We next spent quality time at Badwater, a fault-dissected cinder cone, and Shoreline Butte with its evidence of the receding levels of the ancient Lake Manly. The weather could not have been better. The little bit of rain as we drove back to Zzyzx produced one of the most brilliant rainbows I’ve ever seen. 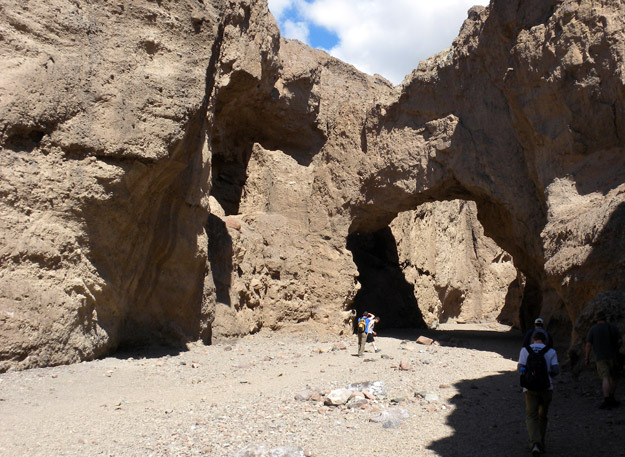 Fanglomerate-walled canyon near Natural Bridge, Death Valley, with metamorphic highlands of the Black Mountains in the background. The Natural Bridge made of fanglomerate. Adam Samale, Jesse Wiles and Rob McConnell at Badwater on a recently-flooded portion of the salt flats. 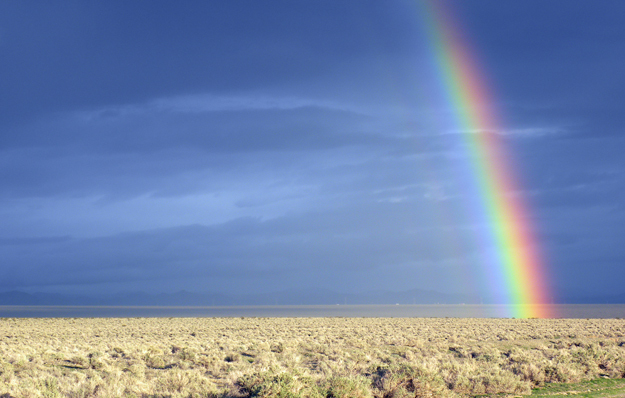 A bright rainbow near Baker, California, at the end of our field day.